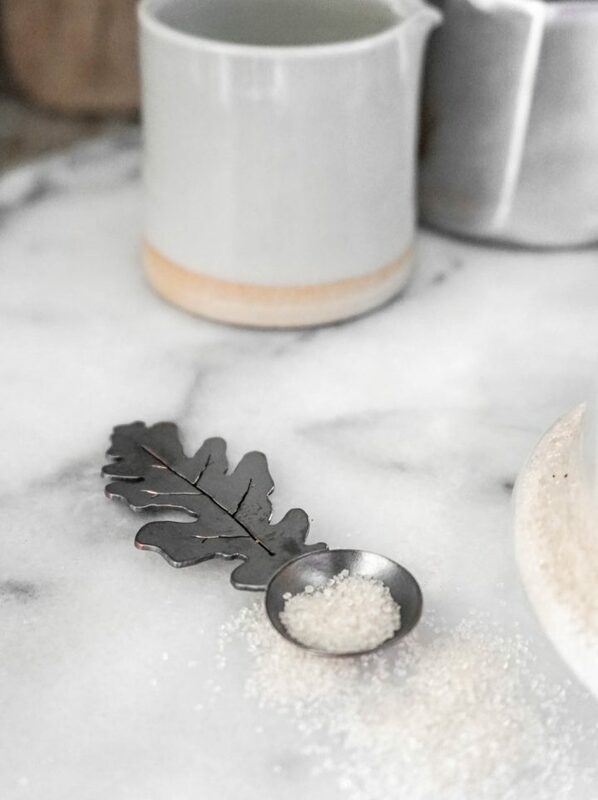 The Copper Oak Leaf Sugar Spoon began as an homage to a road trip my husband and I took through Oregon in 2016. We'd driven from Long Beach to Bend, from Bend to Portland and from Portland down the Oregon Coast and back to Long Beach. I collected objects throughout our travels (pebbles, driftwood and leaves) with the intention of creating keepsakes to remind me of our winter trip. A few days after we'd gotten back to Long Beach, I went into my studio and begin thinking of things to make with my Oregon mementos. 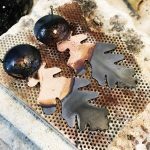 It wasn't long before I found myself tracing one of the leaves on a sheet of copper; cutting, sanding and forming, ending with a little spoon. 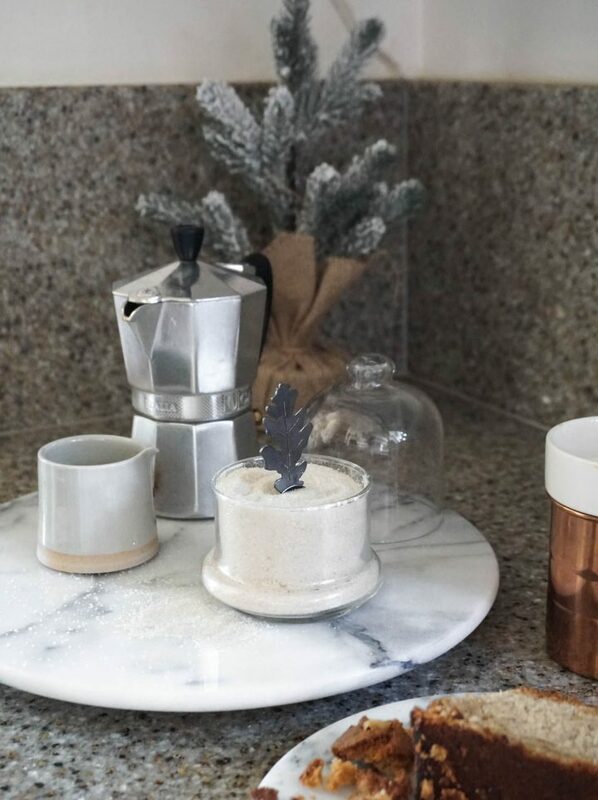 Till this day that little spoon, that I made on as a playful doodle, has been part of my morning coffee, which are usually shared with my husband, sipping double espressos with cream and nibbling on some sort of pastry. 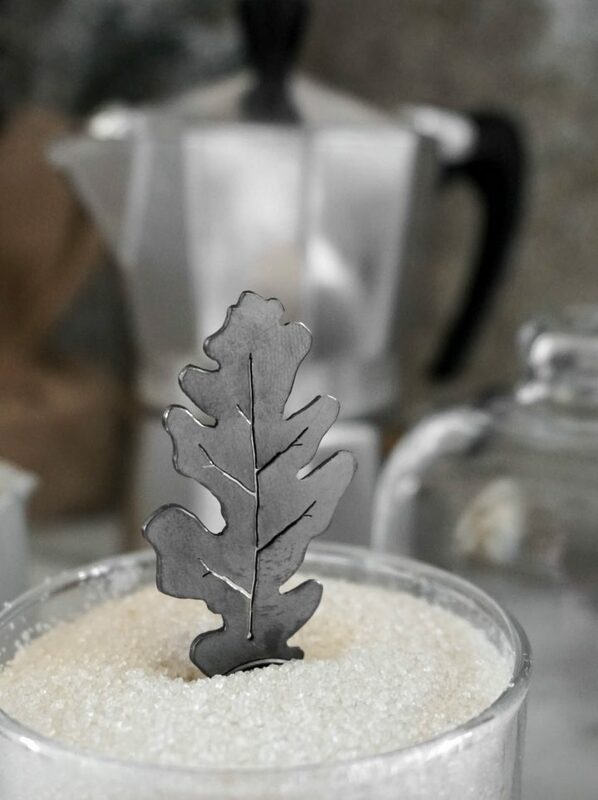 My Oak Leaf spoon is my sugar spoon lives on my kitchen counter on top a plater with my coffee making paraphernalia It sits in a clear glass dish with a bell lid filled with sugar, looking like a little sculpture standing in sweet sand; it. 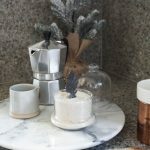 When guest come over and request sugar for their coffee or tea, I love to catch the pleasantly surprised look on their faces when I point them to the sugar. When I decided to sell the Oak Leaf Spoons, I knew I wanted the user to feel special every time they used it. I see the spoon as a functional sculpture that is to be viewed everyday and to be part of everyday life. So it is paired with the same "barely there" glass dish and bell jar as I have in my home. 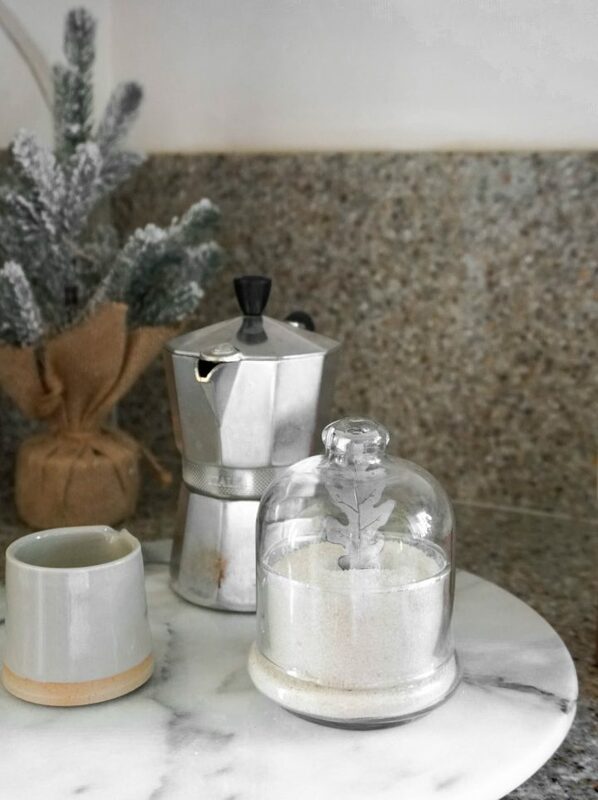 I enjoy my morning coffee ritual, and even more I enjoy when I can visually appreciate all of the little things that are a part of that process. Hopefully this little spoon will make the everyday moments, like sipping coffee and taking in the morning before the day begins, a bit more special for others, too. 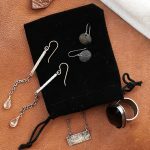 Get instant updates about new jewelry, homewares, upcoming events and give-aways!